It turns out WWDC 2018 is just another pit stop in the digital reckoning roadshow. 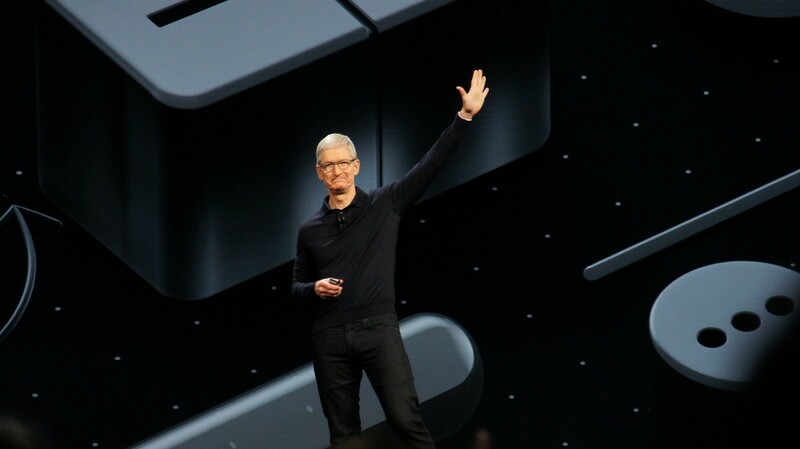 Along with acres of new features and platform tweaks Apple planted on Monday at its World Wide Developers Conference keynote is the first seed in what is becoming a cottage industry: the effort to wrest control of our lives from the digital storm raging on the tiny devices in our hands. Prefacing the introduction with an acknowledgement of all the wonderful things iPhones, iOS and apps do for us, Apple SVP of Engineering Craig Federighi unveiled a set of tools that, for the first time, open a window into our deep, addictive relationship with the very hardware and software Apple and its partners have built for us. Though, as a culture, we are somewhat recently woke to the nature of our digital relationship — and have watched as major tech companies, including Google and Facebook, introduce new tools to help us regain control — Apple has, apparently, been working on these tools for a long time. At least at first blush, Apple’s Screen Time attention management controls appear richer than what might result from a short-term effort. And with, finally, real parental controls, Apple is treating children’s digital habits as something more than pint-sized algorithmic challenges. 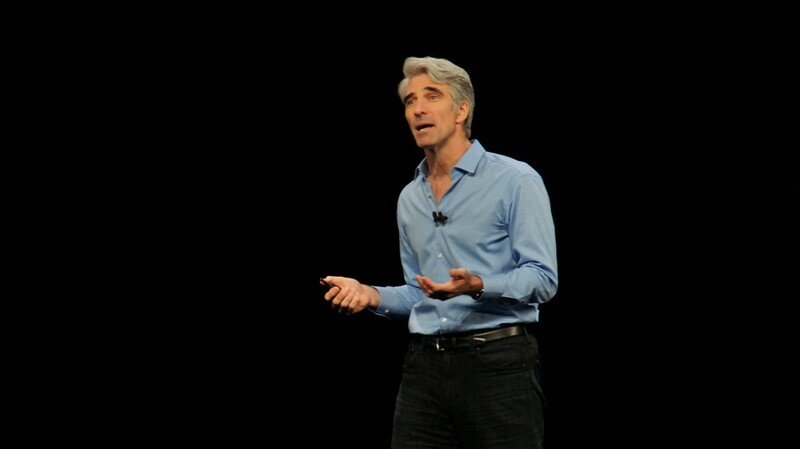 Focusing outward at the user as opposed to inside on UI minutiae and feature bloat is the theme of iOS12, at least as Federighi presented it. There were, during the Apple World Wide Developers Conference Keynote, scant nuts and bolts updates to core apps like Mail, Calendar and Safari and no significant interface or design changes. Apple didn’t even tout battery performance or management changes (to be fair, they introduced its Battery Health Check feature last spring and it’s a fair bet that had the whole throttling fiasco not occurred, they might have been held for the WWDC iOS 12 unveil). 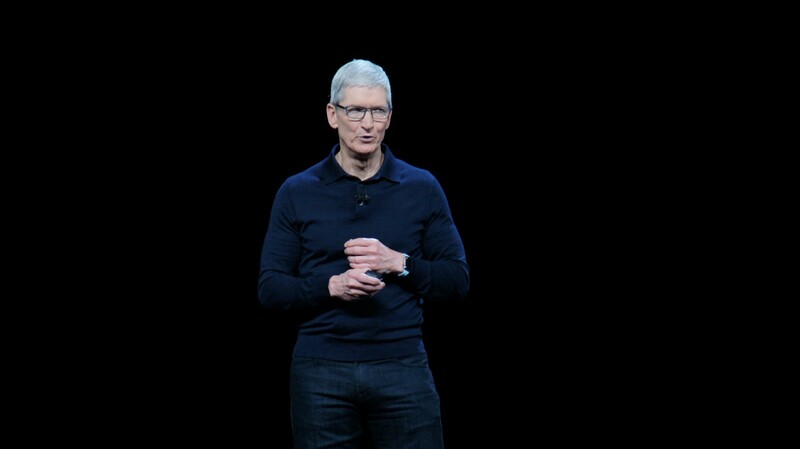 Instead, Apple promised significant performance — and experience improvements designed to change your relationships with your devices. Screen Time and its substantial Activity Reports will be a startling window into just how addicted we are to our devices and apps. The multi-layered reports start off simple, with weekly summaries of activities across a few categories and then let you drill deeper into your digitally-addicted self. For some, it may be as uncomfortable as someone peeling away your flesh. You’ll look at those multi-colored stacks of productivity, social networking and entertainment apps and feel flayed, exposed, and wonder where the time has gone. In Apple’s example images, productivity apps are woefully underrepresented in time spent. They know us too well. Those who have been using the early beta (the developers beta rolls out today) are, by some accounts, fascinated (mortified?) by what they learn about their iPhone usage. 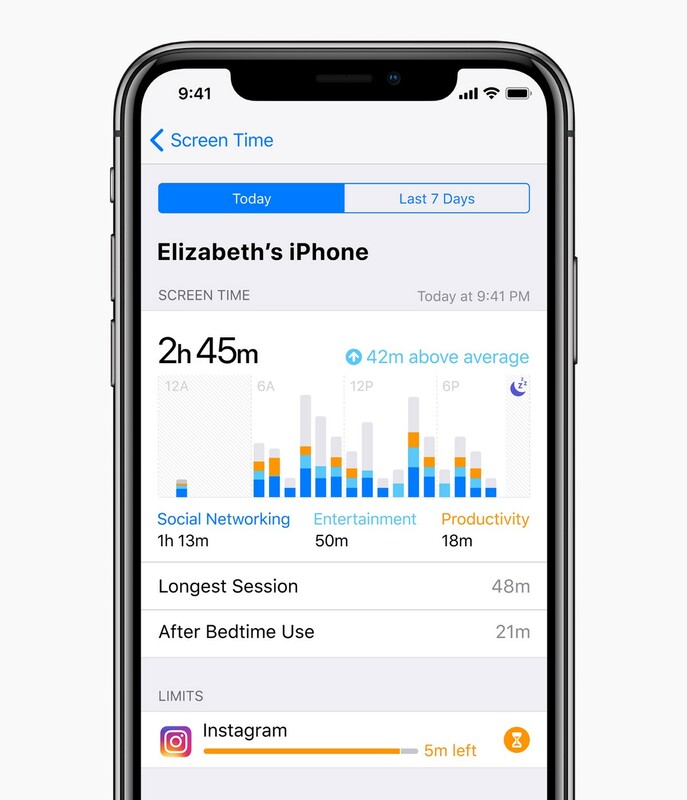 Screen Time offers real, detailed reports and controls for a variety of iPhone use cases. There are details about when you use your phone, how long, and what draws your attention. Instead of aggressive parental controls, there are actionable insights. Screen time leverages Family Sharing to let both children and parents see weekly activity reports. For some children (perhaps older ones), seeing their own digital habits in such stark terms might be enough for them to adjust. I doubt this. Most parents will, I assume, apply the now granular app time allowances. 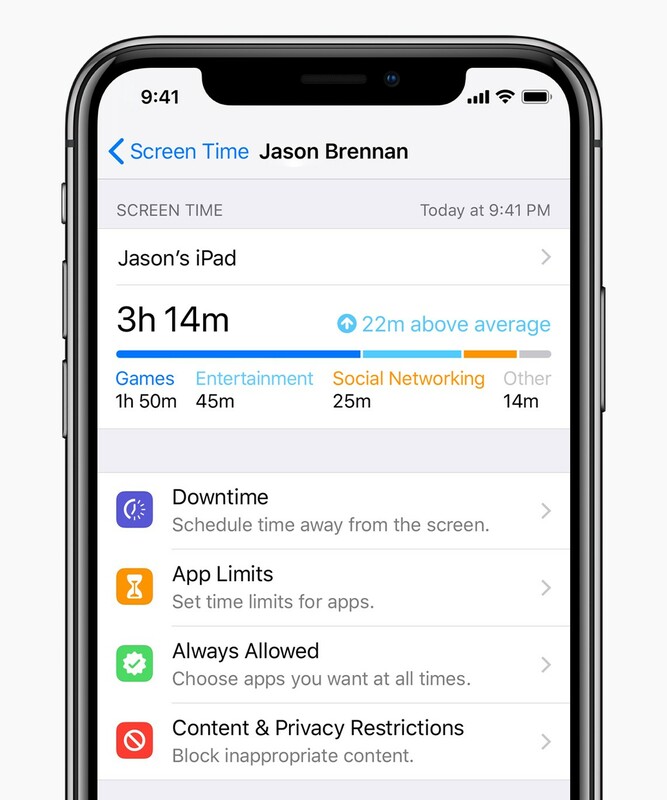 While Screen Time looks like a relatively simple tool, the level of complexity rises when you dig into setting allowances for specific apps. There is, though, a certain knowingness to Screen Time; Apple appears to understand kids, and how they might skirt around some controls. In addition to setting screen time for specific apps, you can choose a category. When you think about how quickly a child can, when told to stop playing one game, find another similar one, this can be a powerful tool. 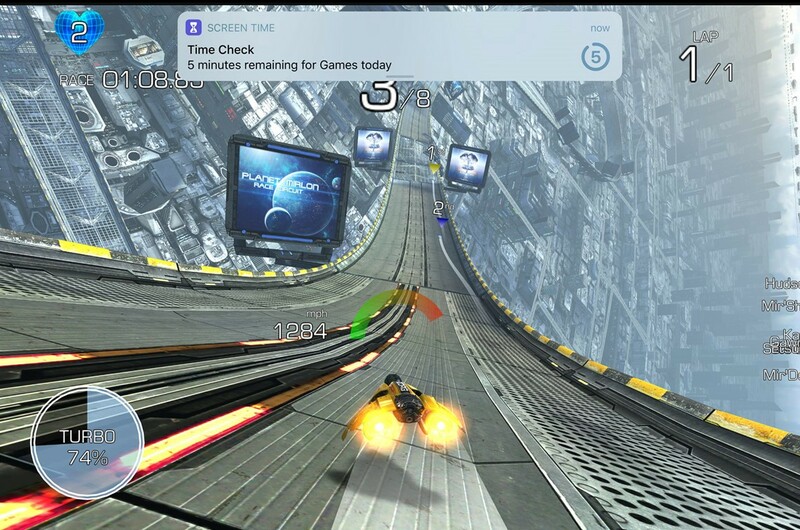 The setting can even bridge the gap between apps and Web sites. If you limit time on the Facebook app, that will carry over into the Facebook.com web site. Unfortunately, Screen time cannot block junior from opening Facebook in a third-party browser like Chrome. The last thing a kid wants to see. Similarly, Apple gets that control should not come at the expense of utility or safety, offering parents that ability to whitelist features and apps (think: phone, calendar, clock). When time is up with their favorite app, children can either shut it down or request more time. If the parent okays it, the child gets a reprieve, but if the parent doesn’t answer, the app shuts down as scheduled. Also, because the controls are account-based, switching to a different iOS device will not extend anyone’s usage allowance. I wonder if parents will be as willing to grant extensions when they’re grappling with their own Time Limits. Once parents have looked at their own Screen Time report, digested how deeply addicted they are to, say, Instagram, they may want to set their own limits. Unlike their kids, they don’t have to ask permission for more time, they can simply grant themselves another 15 minutes, 1 hour or full day on Instagram. Still, even though Screen Time doesn’t keep track of how often they asked for more time, these little, nagging reminders are sure to make them more aware. Or perhaps they’ll just set a regularly scheduled Downtime, a sort of digitally-enforced time away from the screen. Gaining a modicum of control over your digital life doesn’t mean granting Apple control. The activity report data is locally stored and encrypted. Apple, like Google, also realizes how, by inviting all these third-party apps into our lives, we’ve lost control of the digital conversation. With a barrage of incoming notifications, it’s like a never-ending one-way chat, and at all hours of the day. Apple used Facebook for this example, which should surprise no one. Even long-standing “leave me alone” features like Do Not Disturb are turning from blunt instruments into nuanced and highly configurable tools. iOS 12 will add a collection of Do Not Disturb adjustments hidden under the crescent moon icon in the Control Panel. You’ll need to 3D press to access them. 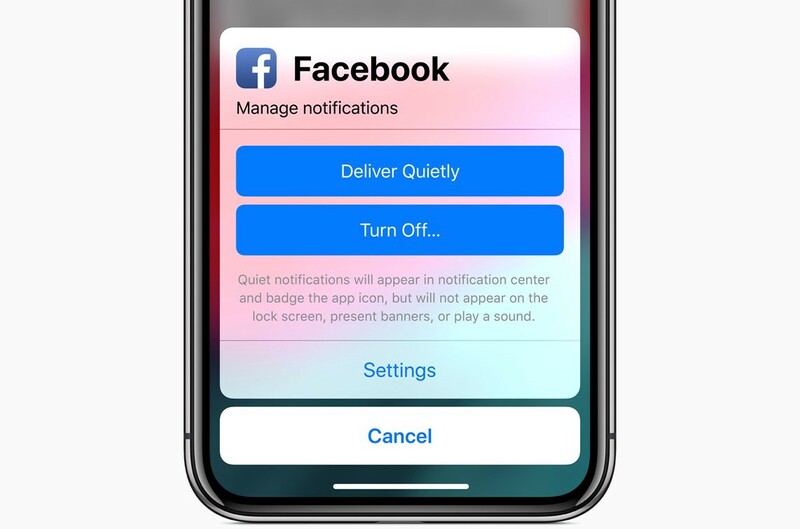 Finally, you’ll be able to set the duration of Do Not Disturb, so, even if you forget to turn it off (“I wondered what happened to all my notifications”) iOS 12 will disable it for you. It’ll also gain geofencing to mute notifications and other disturbances whenever you arrive, say, at home, and can even be tied to time of day and specific calendar events. It’s what Do No Disturb should’ve been ages ago. These changes (and many others), which will arrive for the iPhone (and iPad) masses this fall, will not change how people use their iPhones and apps overnight. It’s possible they will have no impact, users will find the controls confusing, or children will outright rebel at the parental oversight. I think Apple is prepared for all these contingencies. This is uncharted territory. After a decade of saying, buy and use, use use, Apple is, like many others in the industry, trying to help consumers — their consumers — tap the brakes, even if it’s only a light tap.